You are here: Home / Technology / How to make your Free Antivirus to a Premium Internet Security without paying anything! 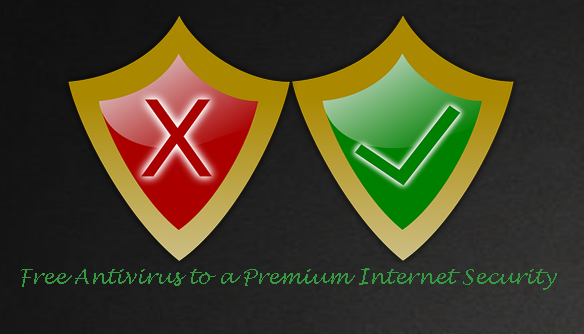 How to make your Free Antivirus to a Premium Internet Security without paying anything! Internet security or Antivirus is the primary requirement to protect your PC from Deferent type of Viruses or security threat. But I always hate to buy any premium Internet security for my Home PC. But security is also essential to be secure both online and offline computing. So In this article I am going to pen down some common tricks that you can use to upgrade your free interest security that work like a premium look Internet security or Antivirus. Security – protects against viruses, spyware, internet threats, malware. Privacy identity theft phishing attacks are automatically blocked. Safe money: Make your Digital life safe from Scammer. Files – protects your photos, music, financial documents and files online back ups. Awesome Performance both on Browsing and computing. Personally I use AVG Antivirus but if you are not so comfortable with AVG Antivirus then I recommend you to use Avast Antivirus. This are two best word class free antivirus that most people are used. As per statistic AVG has some extra feature to increases your mac or others computer speed. So if you are in doubt which one will be better for you , then go with AVG Antivirus. As we have installed some free Antivirus, may be the virus definition is not enough for your PC , if you have any slowness or in a situation of viruses, spyware, internet threats attack then you can use free Microsoft security essentials and Dr. Web Cure it. This are best tools that work with any Pre installed Antivirus. You have to just download their quick run files from internet and run their Deep system scan. Don’t be confused by trying to install it into your program files. You don’t need any direct installation into your PC, and its does not affect your system resource or other memory. I recommend to scan your system with Dr. Web Cure it and Microsoft security essentials at list in a week to get maximum protection. Have you seen that some of your USB Device has tendency run program on USB start up , It’s a open invitation for Trojan and any other Auto run threat to attract your pc’s system32 files. So what we can do ,simple disable USB device auto run mood , and install USB Disk security that’s not only block Auto run of USB drive but also its scan possible Auto run threat that attracted to your USB disks files. I found malware byte that work exactly same as a premium Internet security’s malware protection. Some of Internet security company charges $5-$10 for getting malware protection with Antivirus but with malware byte Antimalware you can get free malware protection. Awesome tricks ever. Some of Premium Internet has the feature of protect your mails from Identity threat and pushing email . But I have plan B for that , why not just switch to Gmail and let Google hander Identity threat and pushing email issue with their enterprise Antivirus system. Free but far better than buying premium Internet security. Step 6: Do you know about http(s)? 1 Year back I use Kaspersky and found Kaspersky safe money , well I don’t trust Kaspersky yet, and I recommend everyone to except using any third party tools like Kaspersky safe money just look up for http(s) here S means Secured. I have some awesome tips for Online credit card to protect your Money, additionally you can use Norton safe silts tools that came as free to everyone. Its was so funny that some of premium internet security charge you almost double only for using parental control, what I suggest why not use Windows inbuilt parental control for your user management as well as use k9webprotection Free Kids parental control and web filer to protect your kids from harmful internet stuff. If you buy Quick Hill or Kaspersky internet security you can see that and web suggested on green check box are showing the trust level of a websites, now what you can do instead of paying money to premium internet security you can use Norton free web protection and get the same result as premium Internet security. Some of premium Internet security offer free speed booster and PC optimise tools , well I have far better solution, Just install tune up utility from AVG , probably free with AVG antivirus for optimized your PC and speed up. I have used Kaspersky internet security for 1 year and its cost me Rs-999/- and now I use this 10 steps and convert my free antivirus protect almost like a premium Internet security. And supposedly its work better so how you guys think about to save money on your PC Internet security? Let me know if my article looks helpful to you. For any support on free upgrade to your PC Antivirus fill free on comment box!